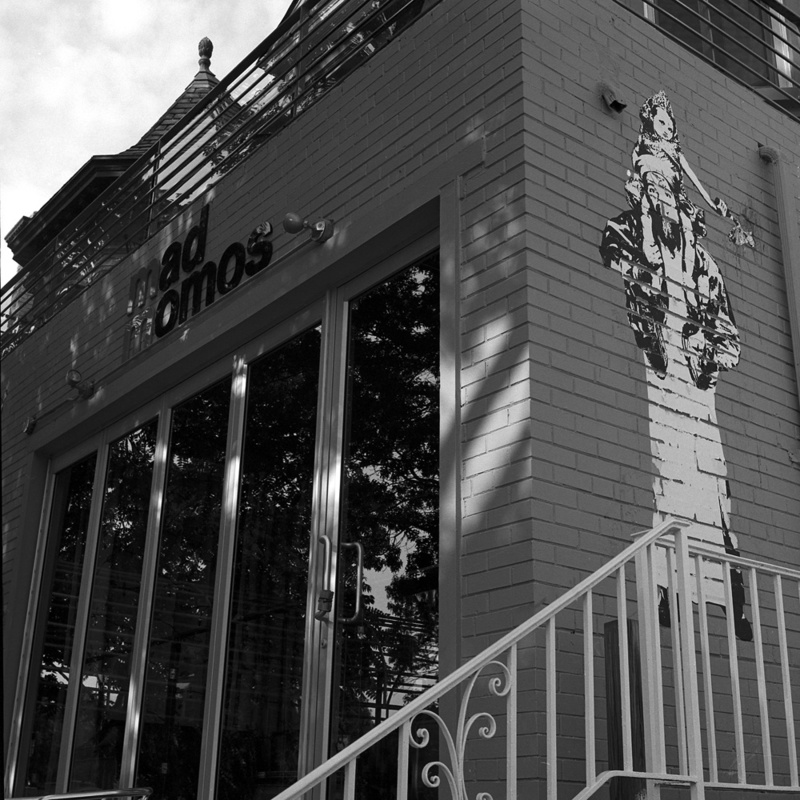 Here are the outside shots of Mad Momos Restaurant and Beer Deck. 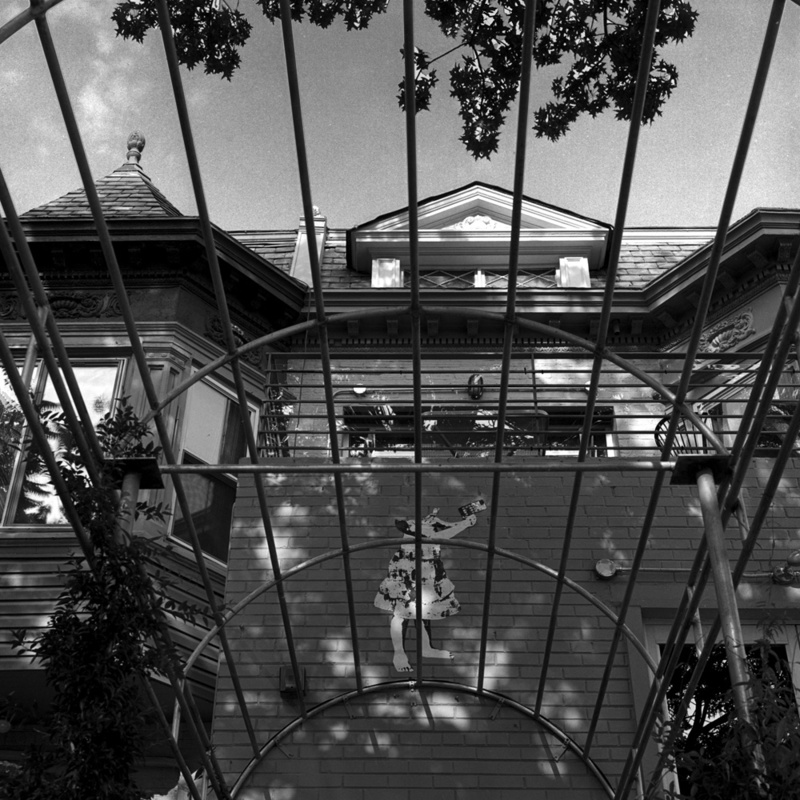 This is the entrance, as viewed from under the awning. When they bought the building, the structure was partially renovated with the intent to turn it into a restaurant. They followed through and finished it out, leaving the awning frame up but not getting a canvas/vinyl cover. Instead, they are training a vining plant in barrels, which will take a couple years to fill in (visible in the second photo of the awning). I just liked the structure of the awning and thought it would be an interesting frame to contrast its geometric structure against the decoration of the building behind it. I don’t recall if the paper cutout figure over the door ever had a head or not, but in any case, it’s a little girl holding an iPhone like a handgun. Here is the facade of the building. In case you’re wondering, the paper figures plastered to the wall are Osama Bin Laden giving Honey Boo-Boo a piggy back ride, whilst she’s holding a molotov cocktail. Yeah, the guys have a quirky sense of humor. 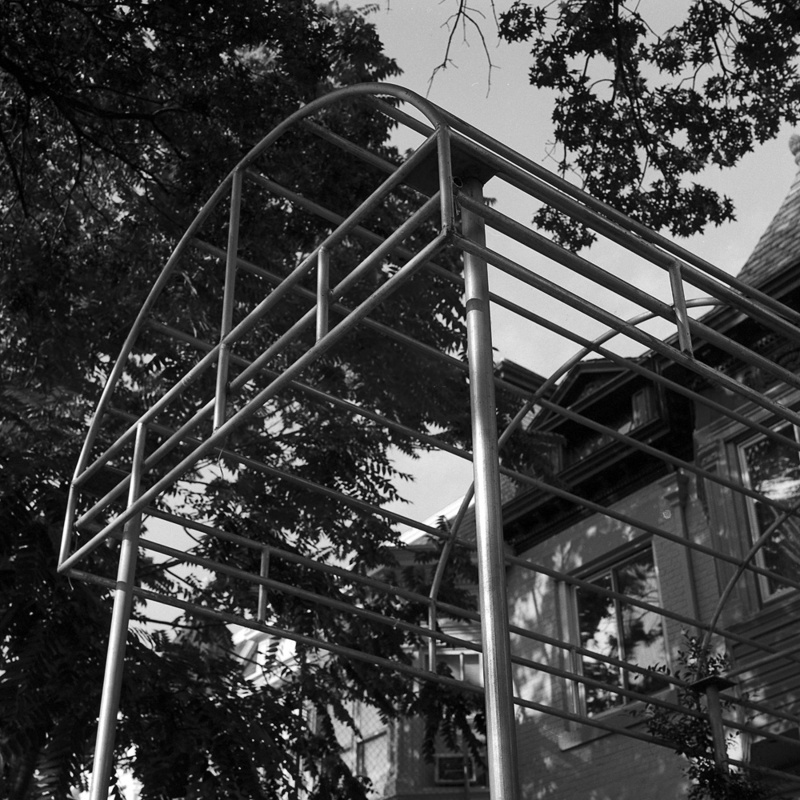 Another view of the awning structure, dappled with sunlight filtered through the tree above. 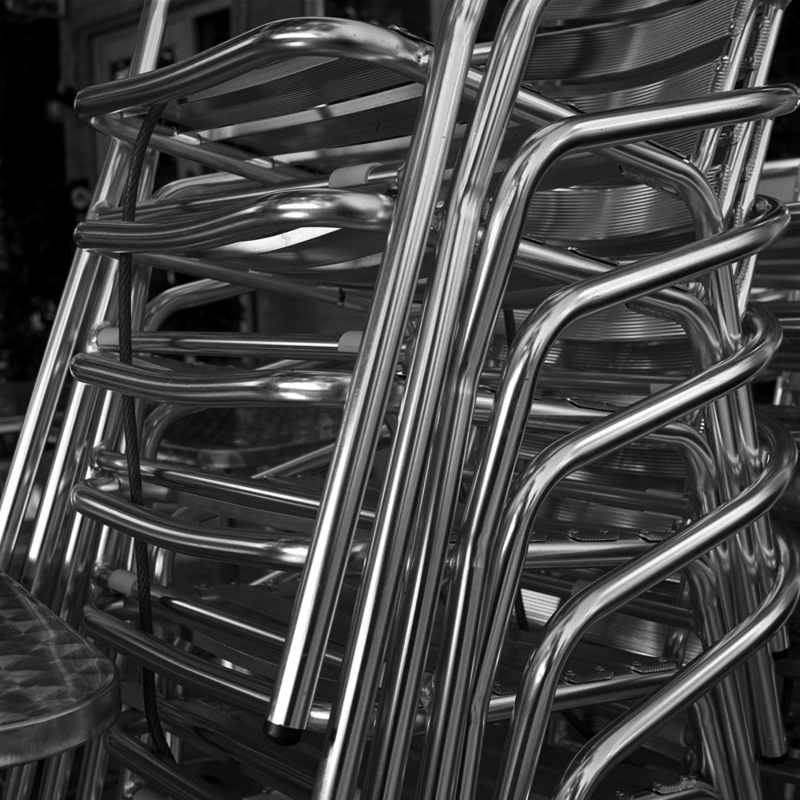 The chairs were still stacked from having been stored the night before. 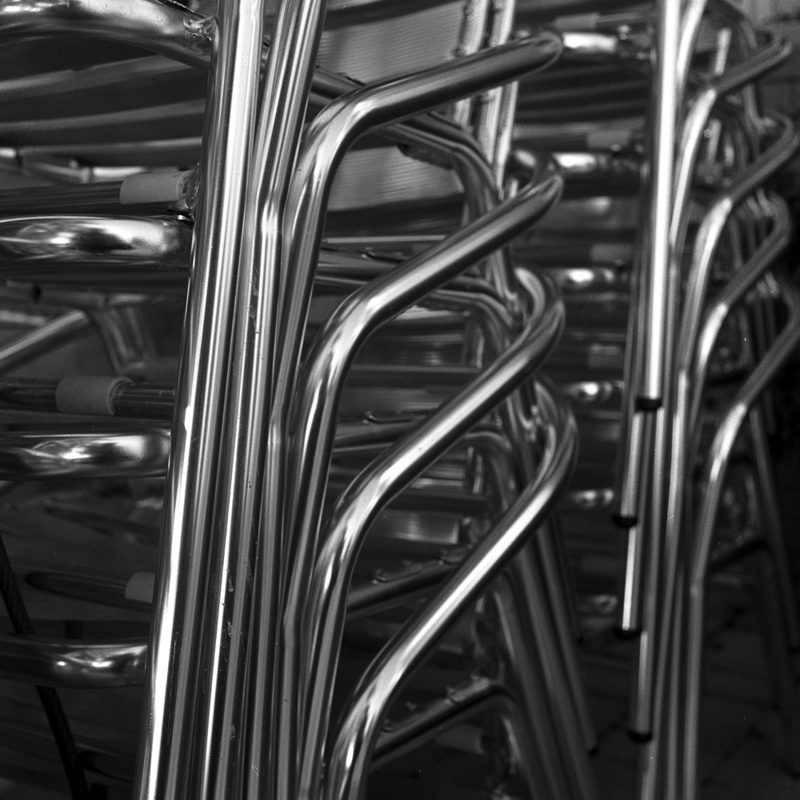 I loved the repetition of the shapes of the chairs. 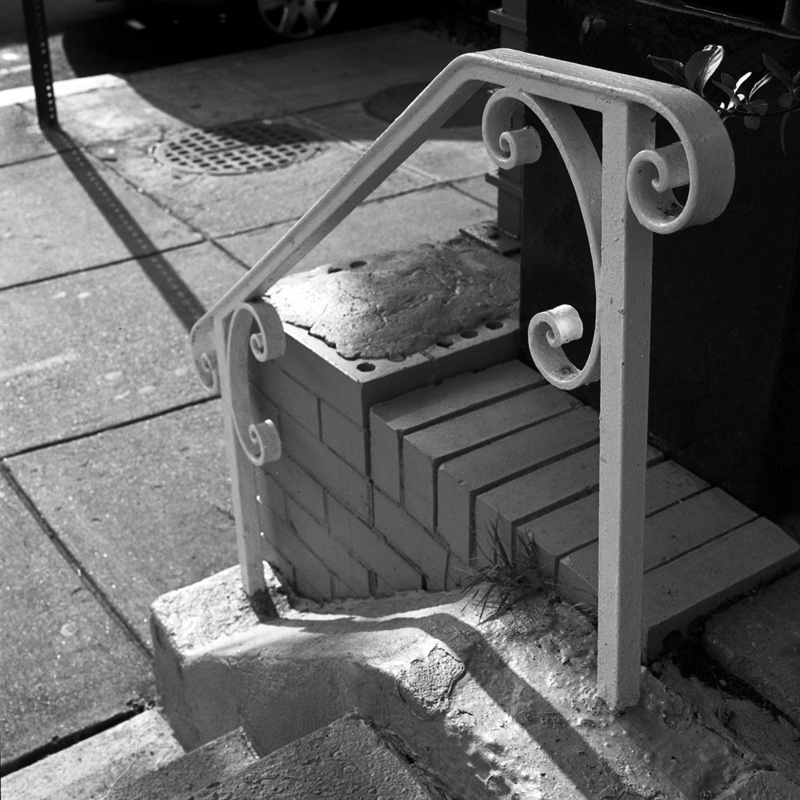 In contrast to the modern awning frame and handrail around the front patio, this 1910s/20s wrought iron hand rail frames the steps on the house next door to their building. All these photos were taken on a Tuesday – the slowest day of the week, thus the absence of customers. I’m going back there tomorrow after work with some color film to take some night shots – the place gets packed!